Favorite Liberty Quotes Discussions Liberty.meI do not choose to be a common man. It is my right to be uncommon—if I can. 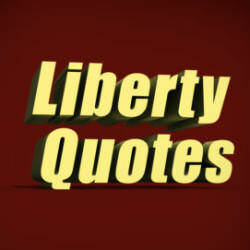 What are your favorite liberty quotes and why? I do not choose to be a common man. It is my right to be uncommon—if I can.